February has arrived. Only one more month of Summer left! Summer is an optimal time to get started on improving your health and fitness. Longer daylight hours and warmer weather naturally entice us to be more active. 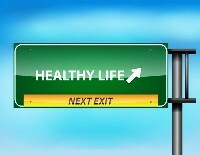 We tend to eat lighter meals and the warmer weather increases our metabolic rate. This all helps burn extra calories. However, you may have started a fitness regime, then stopped, got bored or are just mooching along doing a couple of sessions a week. You may have dropped one type of fitness activity and started another, only to drop out of that one. This newsletter touches on a few of the reasons why we do this and offers a worksheet to help focus on remembering why you started! 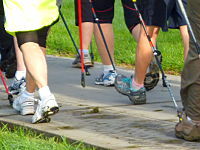 There are a number of new Nordic Walking initiatives, starting in 2014. You will get a sneek peek of some of these, also in this newsletter. You decide on the destination of a journey before you plan how to get there. The same goes for your health and fitness destination. Decide what you want to achieve then make the plan. There is tremendous power in writing the goals and plan down. Split the year into monthly or 2 monthly sections, so you don't put things off. Examples include participating in a walking event every 2 months. This focuses your training and ensures fitness is not left to providence! 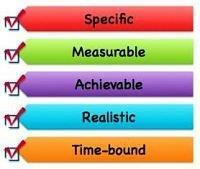 Set realistic goals, so you don't become discouraged. For a planning schedule, click here. 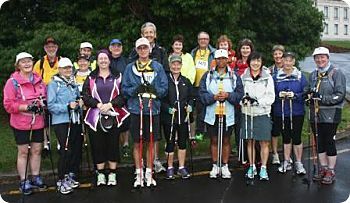 Congratulations to the "Nordic Kiwis" team who successfully completed the inaugural "Walking Stars" half marathon and raised over $10,000 for Cancer research. Jane Bollard, Alan McCullough, Alison Cameron, Fiona Brown, Georgia Jensen-Proctor, Rachel Murray, Neil Hutchison, Peter Sommerhalder, Paul Stevenson, Helen Hugglestone, Sandrine Smith, Neil Allwood, Mavis Takimoana, Helen Emson, June Stevenson, Christina Chan, Jill Cowan, Jenny McKenzie, Elaine Harvey.